The Clinton County Community Foundation has awarded $145,490 in competitive grants for 2018. Donors may identify one or more charitable organizations to receive an income stream forever. If at some time in the future the named charity is no longer recognized as a 501(c)(3) organization, the Foundation Board of Directors has the variance power to select another organization with a similar purpose to benefit from the fund. In 2018, the Clinton County Community Foundation distributed $298,252 in designated/agency grants to organizations as identified by donors. Donors may be actively involved in the grantmaking process by recommending which qualified charitable organizations should receive grants from their donor advised fund. These flexible funds enable donors to address a wide variety of issues as their charitable interests and priorities change over time. In 2018, the Clinton County Community Foundation distributed more than $26,409 in donor advised and non-permanent grants. About the Clinton County Community Foundation, a fund of the Community Foundation of Howard County, Inc. The Clinton County Community Foundation was established in 1996. The purpose of the Foundation is to serve the interests of donors, to make grants, and to act as a catalyst around issues of community importance in Clinton County. 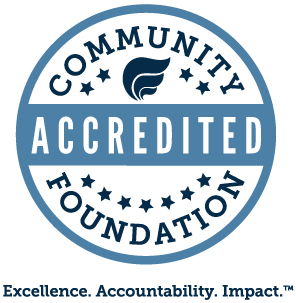 For information about the Community Foundation and its services to donors, call Greg Aaron at (800) 964-0508. The Web site (www.cfclinton.org) contains information about making gifts to endowment funds, scholarships, and grantmaking. Our e-mail address is info@cfclinton.org.